This is my last card as a designer for the Muse Card Club. Thank you Ardyth! She put up with so many questions from me and is such a kind person. She is also one of those card makers that blow me away. Her designs are always distinctly Ardyth -- crisp, bold, and colorful. And she makes so many cards! Now on to the Muse card. Naturally, at this time of year, I had to make a Christmas card. The wreath and sentiment are a digital design from Pink Petticoat that I printed on an inkjet printer and colored with Copics. Added Ranger Stickles to the pink paper and some teeny tiny silver sequins from Concord & 9th. I would love to see what you make inspired by this card. 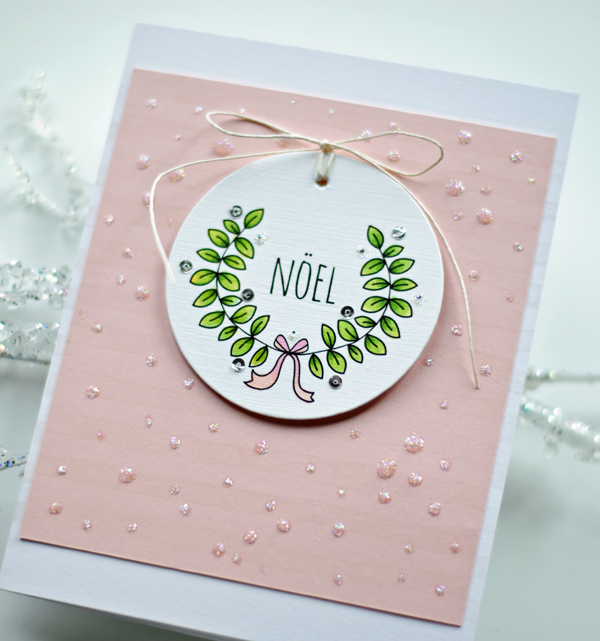 It's holiday season and you may be tired of making Christmas cards, so feel free to be inspired by the layout or the colors or even the glitter! Love the simplicity..and the Stickles polka dots! LOve the stickles on the pink, Joan ... you will be missed! you should be delighted with this card, Joan - so pretty and whoever received it will be delighted too! Such a delightful Christmas card, and perfect for this week's Muse! So sorry that you will be leaving the team, Joan...it's been great fun having your inspiration! 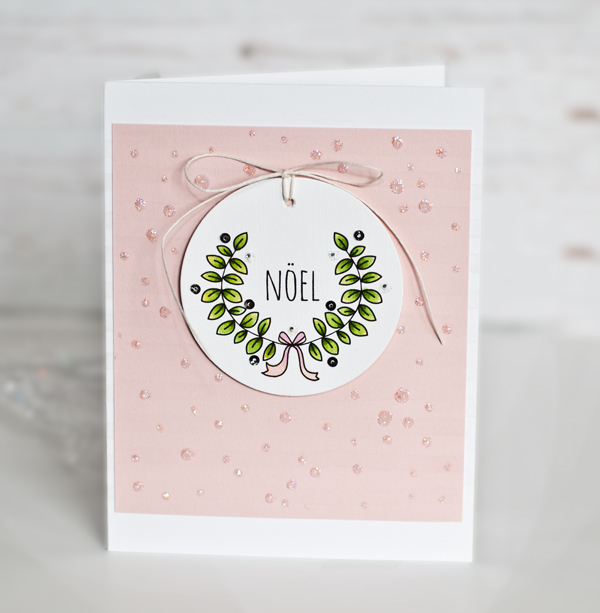 Thank you for the very kind words, both here and on FB - it's been an absolute pleasure having you on the team and being inspired by your cards - this one is no exception - unexpected and pretty in pink - I have my thinking cap on! Looking forward to having you play along with us at Muse in the future! All the best, Joan! Really love this one, Joan! Simply gorgeous! pink = green = yes, please! Stunning and so, so pretty! Love the touch of sparkle! Such a pretty card Joan. You will be missed at Muse though. Soft and lovely, Joan--beautiful job! Oh, how pretty! Loving the image, the simple design, and the pink!